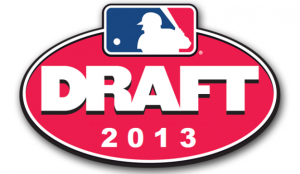 The 2013 MLB Amateur Draft is upon us as all 30 big league clubs ready themselves for tomorrow’s first-year player draft, which will commence at 6:00 PM (EST). For the most part, the majority of the top 15 selections remain unchanged from our last mock draft with the occasional one or two spot deviation. Whether teams are not following through in the appropriate manner regarding draft-day planning or they are generally smitten with their respective draft boards is up for debate, as relatively few changes or definitive rumors/trades have surfaced in recent weeks. Rumors have circulated within the past week that North Carolina third baseman Colin Moran will be selected first-overall by the Houston Astros. Although such a selection may prove economically sound for the Astros, as they could free up money for other picks by signing Moran for a price similar to that of Carlos Correa’s bonus last year, selecting Moran first-overall would not be sound in terms of impact and talent. While Moran is one of the better college bats in the draft, he is not quite at the same level in terms of impact and talent that Mark Appel, Jonathan Gray, and even Kris Bryant currently reside at. Houston has been slotted a signing bonus of $7.8 million, which should be within reason in selecting either Appel or Gray (even if Boras demands $8-plus million, Gray or Bryant are sure bets). While draft rumors and changes in projected selections have been relatively minimal, we may witness multiple draft-day surprises as is typically expected. Until tomorrow night, we can only make conjecture as to how and who will be selected, as draft-day should bring plenty sighs of relief, mixed emotions, and of course, fun surprises. Below we have provisionally projected each of the first-round selections, including statistics for each respective draft prospect and the provisional projection at each spot that was included in our previous mock draft.